Have read them twice each. I am in the middle of the last book…Again! Love them! 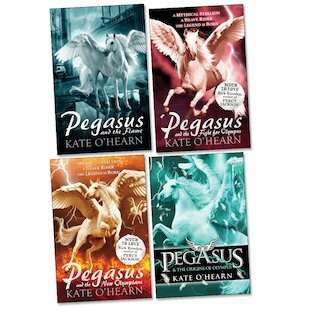 Would recommend the series to anyone, you don’t need to know all about Greek and roman mythology to enjoy these books. I am dying to read these books. This is a great series and if your gripping for more after then I recomend her other books= shadow of the dragon part 1 and 2 and also herms secret. i didn’t realise and accidently read the last book first. kind of mucked up the story but good! I have read the first book in the series and it is amazing. I am desperate to read the others.